Advocare is a leader in the MLM world offering some great products, many of which we are big fans! With this mind our expectations were set pretty high on their shakes. So let’s take a look. 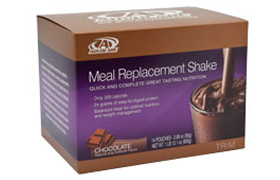 For starters Advocare offers a couple different formulations, standard and a vegan blend. We did not evaluate the vegan blend because SOY protein was a chosen protein (as you know we’re not fans of soy in shakes…see our blog why) and more so FRUCTOSE was very high up on the ingredient list. 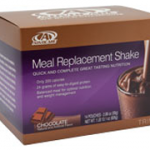 So let’s take a look at their core offering, the Advocare vanilla shake. One of the things we really like about this shake is the high protein content, 24 grams, high fiber content and more than 50% rda of calcium. But when you peel back the onion we found that a lot of powder is needed to achieve these numbers, a whopping 59grams! To put this in perspective this is almost twice the average amount of powder that other shakes claim per serving. Our concern here is not the over inflated numbers but more so the overwhelming amount of powder needed to achieve these numbers. 59 grams of powder (any kind) is a lot of powder and often overwhelms a shake, leaving a chalky aftertaste. Digging deeper we found some very controversial ingredients such as “crystalline fructose” which is very high on the ingredient list, artificial flavors, and sucralose. Per Dr. Mercoloa study after study are taking their place in a growing lineup of scientific research demonstrating that consuming high-fructose corn syrup is the fastest way to trash your health. It is now known without a doubt that sugar in your food, in all it’s myriad of forms, is taking a devastating toll. And fructose in any form — including high-fructose corn syrup (HFCS) and crystalline fructose — is the worst of the worst! 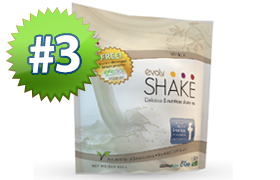 This shake also adds the second most controversial sweetener “sucralose” to the mix. Sucralose has long history of controversial side effects and as a result has recently been banned in many retail chains, the latest being Whole Foods. 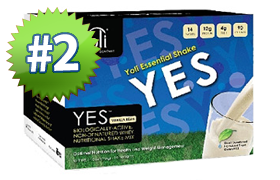 Please let us know your thoughts on this shake as it always makes our reviews stronger and more personal. I love that this new blend has PEA protein as it’s the only protein that keeps me feeling full! WARNING!! Crystalline Fructose which is one the worst kinds of sugars; no thanks! more artificial in this shake than McDonalds milk shake! I like to have this shakes in the morning. I’m constantly on the go. This is a great breakfast replacement that I if I don’t get enough I have a migrain by 11am. These shakes definetly do the trick. Only complaint… Wish they were cheaper =( it’s an expensive habbit that I have going. 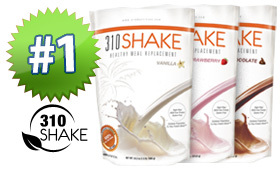 I replaced my Visalus 90 day challenge with these shakes. I simply mix them with the recommended 8 oz. of water in a shaker. One thing I noticed right off the bat is the chalkyness of this shake.. they tasted pretty good. The Vanilla tastes very sweet and is also chalky, so I have decided to use my stand-by, GNC Lean Shake 25, instead for the last few days remaining in my Challenge. Someone gave me a few of the Berry flavor to try and they were actually pretty good–for some reason, they mixed up a lot smoother and the flavor reminded me of a strawberry milkshake. It may be more powder, but it’s definitely the best tasting shake! Not powdery/chalky at all! Seriously best shake I’ve ever tasted. Given the incredible amount of research that goes into forumlating these products, I’m going with “safe” for the most part. Let’s be honest, unless you grow your own food/animals and never see the outside world, you’re going to be exposed to some amount of “somethings” out there. I do everything I can to minimize those, but Advocare is the one thing that has kept me going over the years! If they’re doing me harm, then that’s a shock since I’m the healthiest I’ve ever been in my entire life, thanks to them!